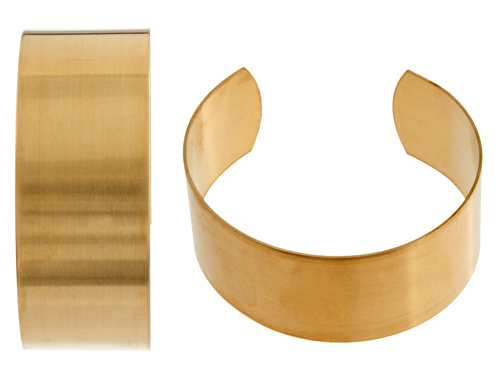 This bangle is a great opportunity to create a fresh summer look with a few components. 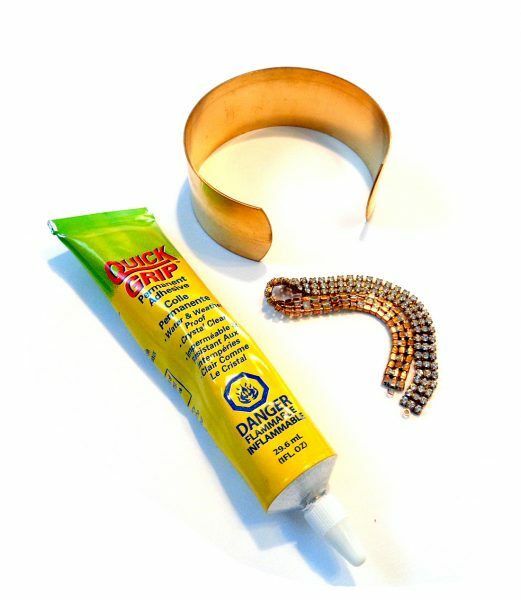 I glued a broken rhinestone section to the blank metal bracelet. 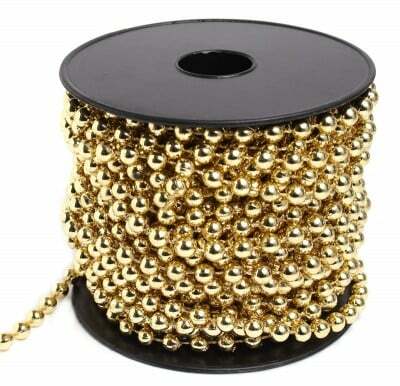 The rhinestone chain allowed me to space my thread wrapping perfectly. 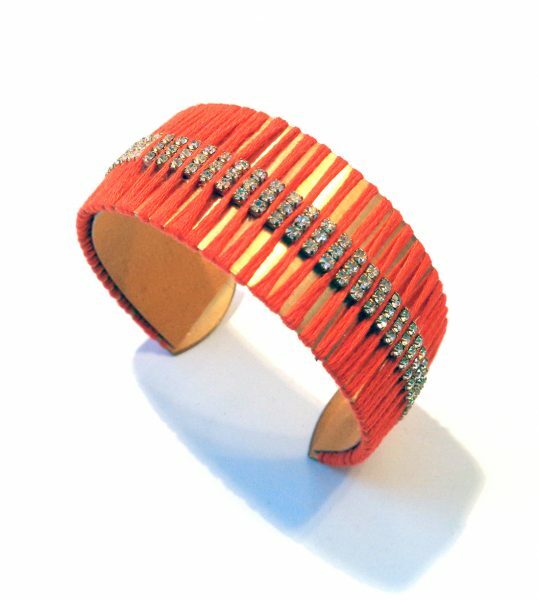 I wrapped the bangle with embroidery floss. This is the backside. 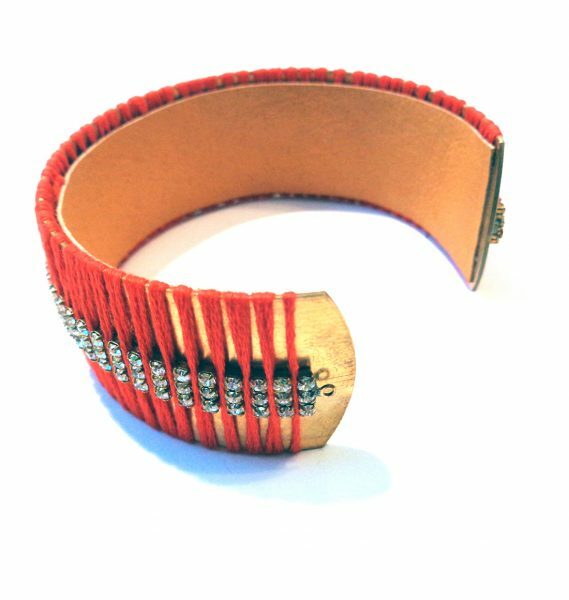 I used a small section of leather to cover the inside of the bracelet. 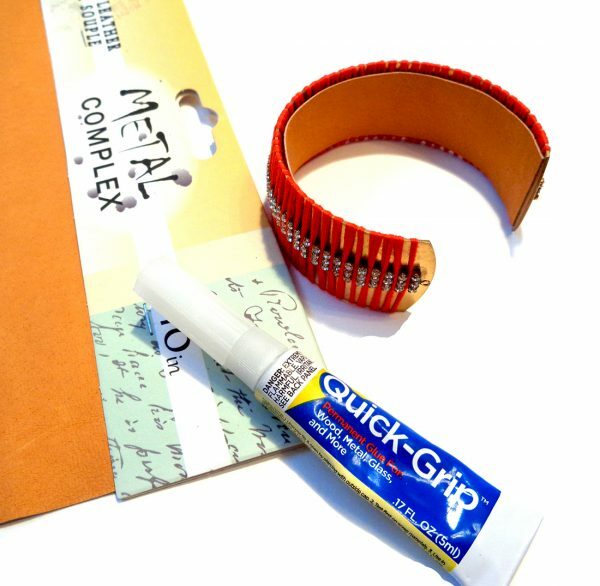 Our cuffs are available in several widths. 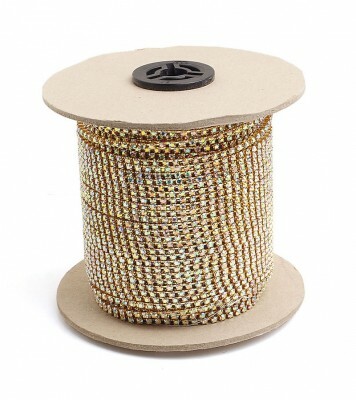 We have new packaging for woven hitch braid. 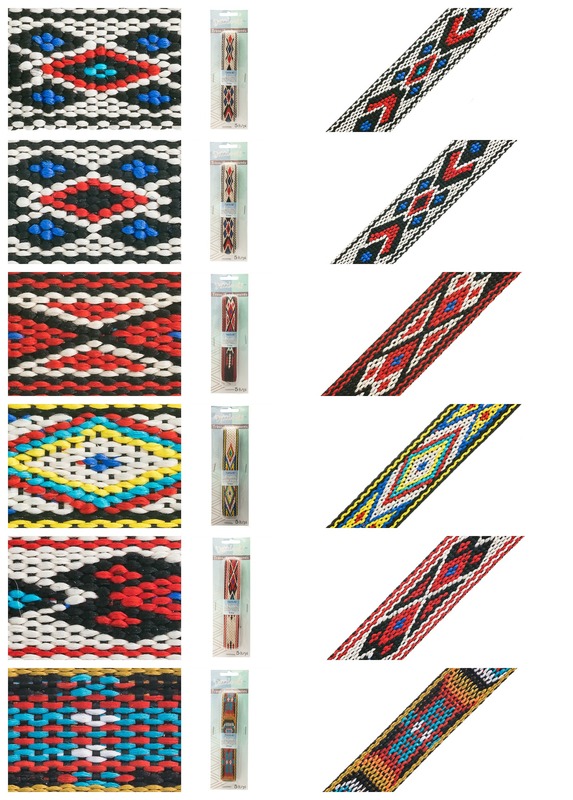 Six color patterns in five feet lengths. 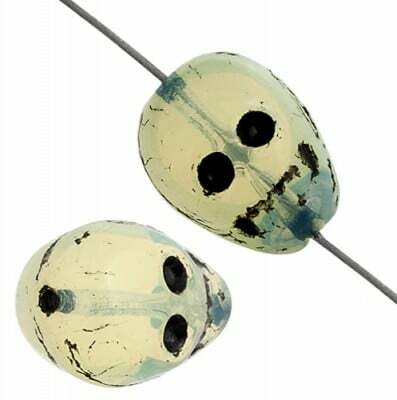 We have a wonderful collection of beads fused onto string. 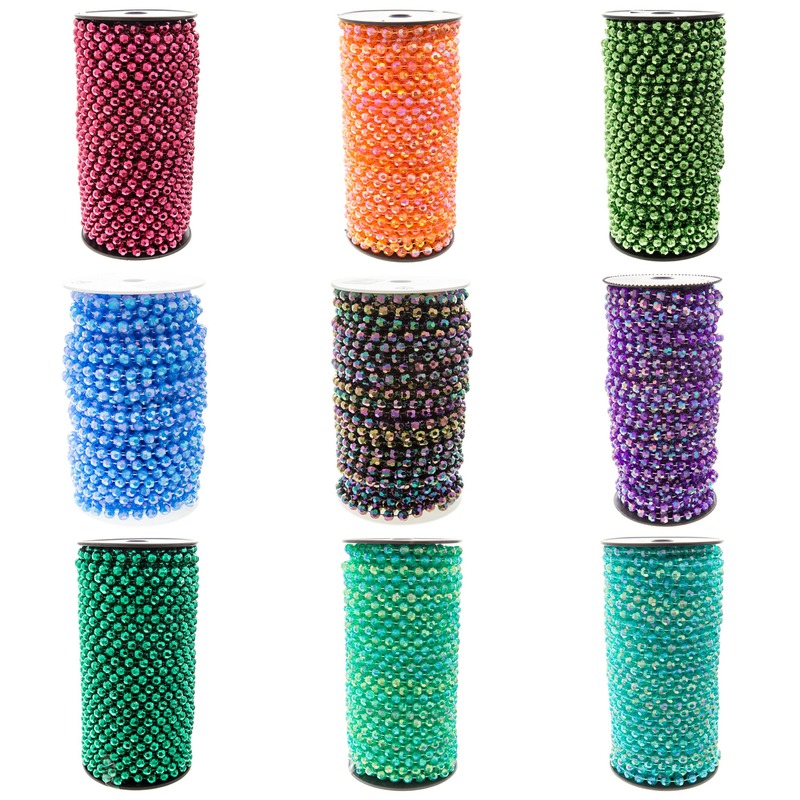 This is our faceted bead group. 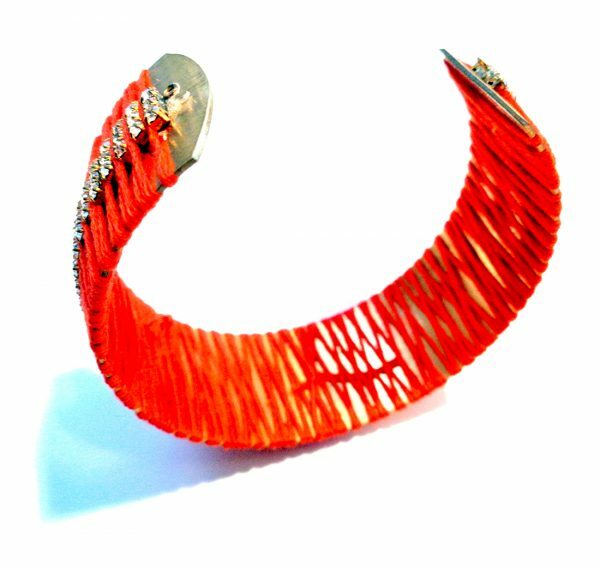 They are lightweight trims that are ideal for costume designers, home decor specialists and would be a great addition to fun jewelry ideas. 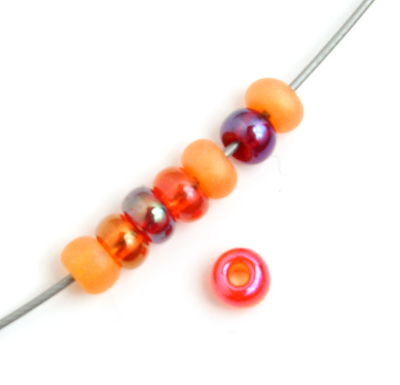 The beads are fused onto the string so you can cut any length you need to apply it to your project. 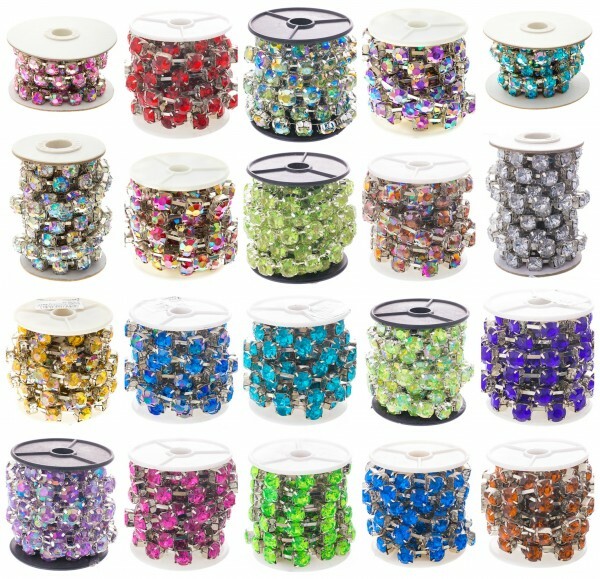 Our acrylic rhinestone trims are lightweight and a wonderful addition to costume designs and jewelry creations. 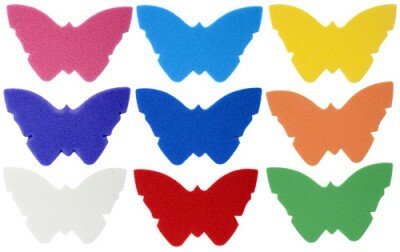 Our colour options are perfect for virtually any palette. 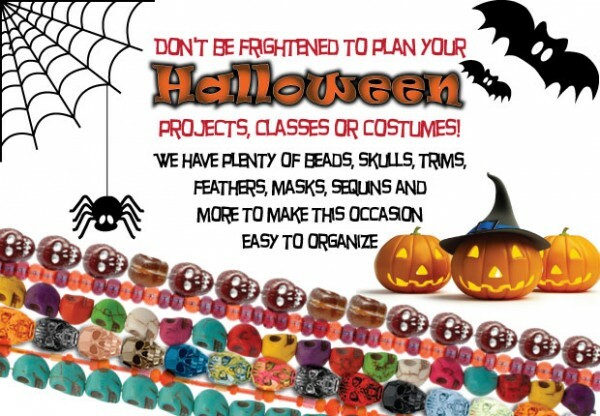 Don’t be frightened to plan your Halloween projects, classes or costumes! 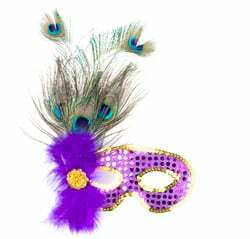 We have plenty of beads, skulls, trims, feathers, masks, sequins and more to make this occasion easy to organize. 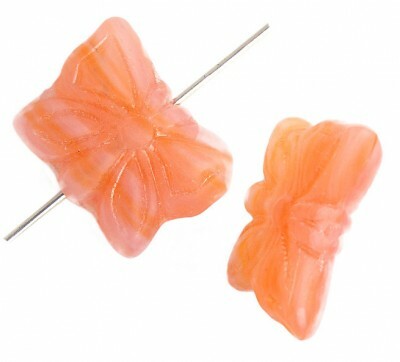 Here are a few of my favorite things for Halloween costumes, jewelry and decorating from our Catalog. 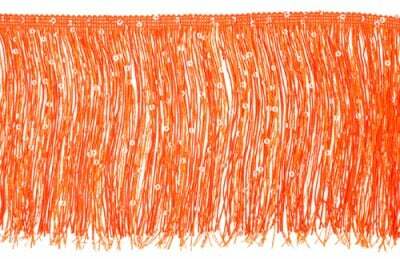 Author Carmi CimicataPosted on September 29, 2014 May 2, 2016 Categories Editorial features, Fringe, Glass Beads, News, Ori Crystal, Other Beads, Pressed Glass Beads, Ribbon, Semi-Precious, TrimsTags HalloweenLeave a comment on Halloween Inspiration! 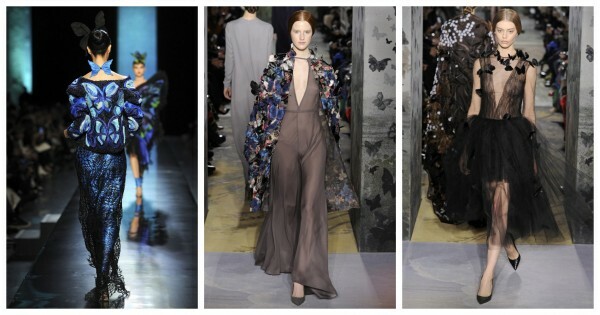 Trend Alert – Are You Seeing Butterflies? 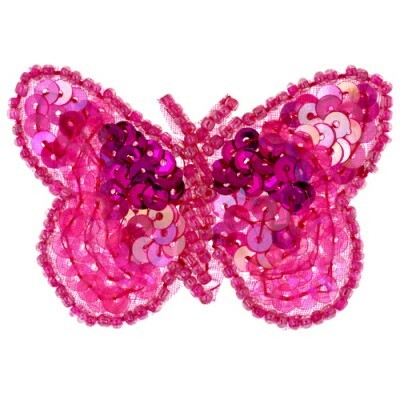 I have been seeing butterflies everywhere I look right now. Have you? 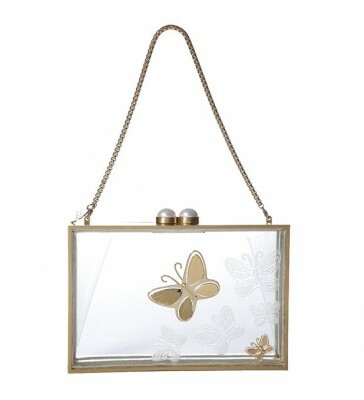 Entire butterflies, parts of butterflies and wings are constantly catching my eye. 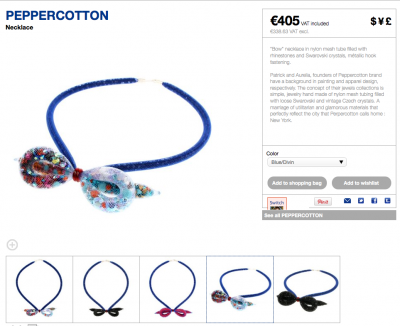 They are being cut from so many different fibers and materials. Naturally I am very interested in seeing anything that is jewelry related. 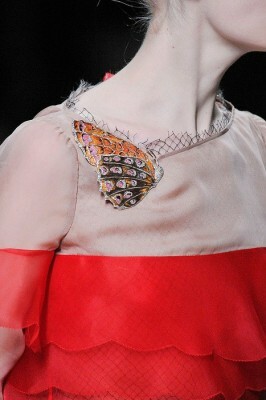 The fashion imagery from Paris last week inspired me to take a closer look. 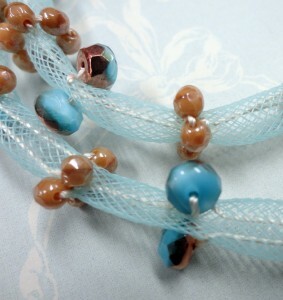 Simple, elegant, collaged, photographed, beaded or metal. 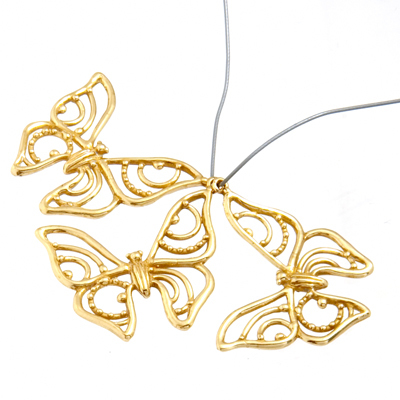 No matter how butterflies are featured they are a wonderful addition to a design piece. 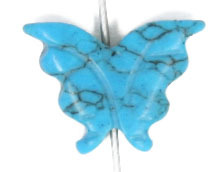 Butterflies also appear throughout the John Bead catalog. A simple search request for butterfly gave me dozens of categories to choose from. Here are just a few of my favorites. 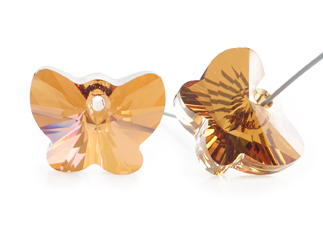 Swarovski Beads, flat backs and pendants in dozens of colours and sizes. 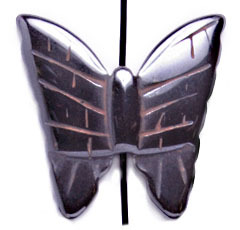 Charms and pendants in various metallic colours. 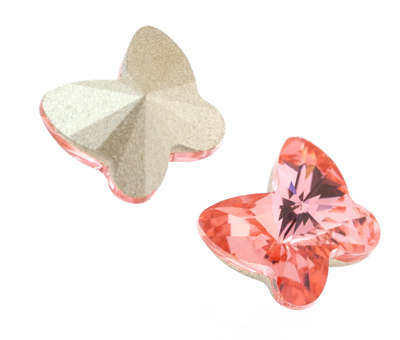 You will find butterflies made from gem stones and pressed glass. 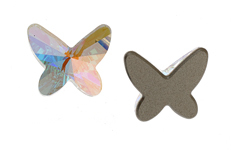 Metal blank butterflies are ideal to stamp words onto. 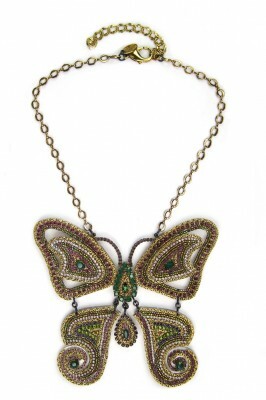 There dozens of gorgeous sequinned and beaded motifs. 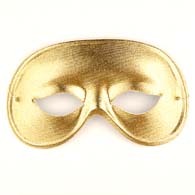 Costume designers love these. 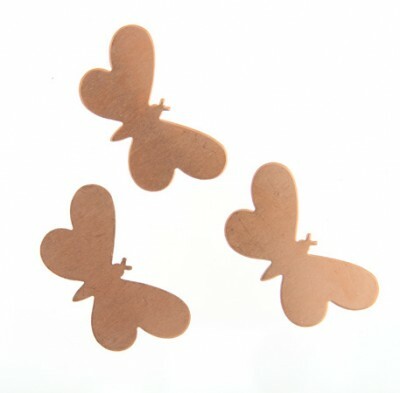 You’ll even find butterflies in our craft area. These are made from foam. 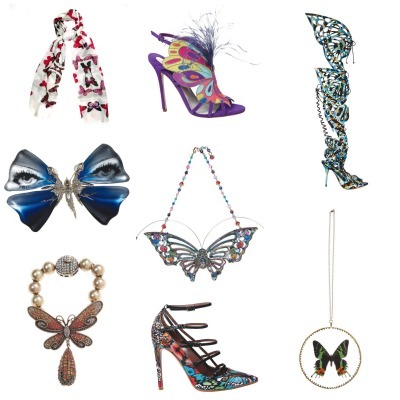 Author Carmi CimicataPosted on January 27, 2014 November 9, 2018 Categories Metal Stamps, Pressed Glass Beads, Semi-Precious, SWAROVSKI Innovations, Trends, TrimsTags Swarovski, TrendsLeave a comment on Trend Alert – Are You Seeing Butterflies? 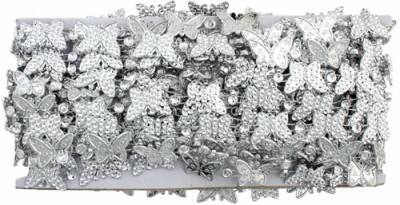 I have been using a lot of rhinestone chain lately! 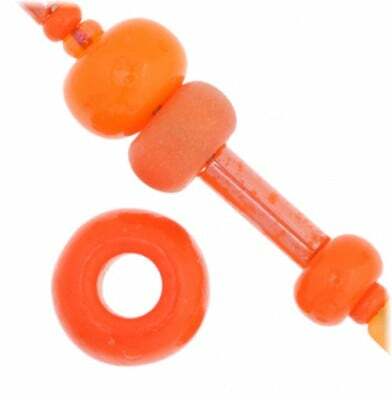 John Bead sells it by the meter and spool! 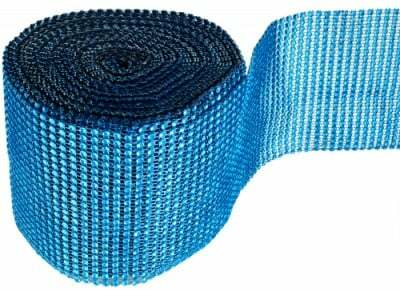 Last year, and it is so funny to be able to say last year already, I showed you some examples of what you can do with nylon mesh. 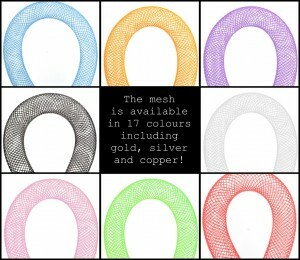 The mesh is an inexpensive stringing material. 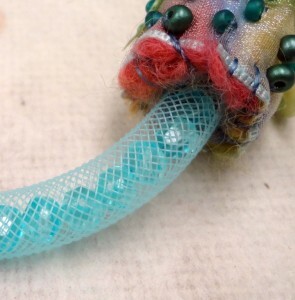 You can add beads into the tube or you can sew them to the outside of the tube. 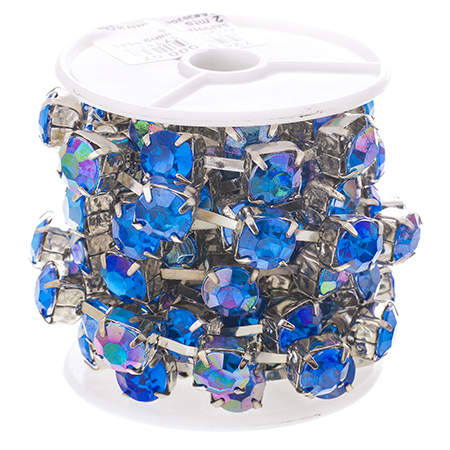 As you can see from this picture…if you fill the tube with Swarovski crystals…you can expect to pay a great deal for a nylon mesh necklace.